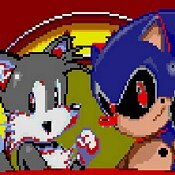 Description: Graphically redone version of Sonic 2 with a creepy .EXE twist! Everything looks dark and bloody. Can you play it with the lights off?